The Academic Unit of Clinical and Molecular Oncology (AUCMO) is an integral part of the Faculty of Health Sciences at Trinity College Dublin (TCD). The establishment of the unit in 2004 reflected the important multidisciplinary nature of modern cancer treatment and the significant investment in oncology education and research within TCD and its associated hospitals. 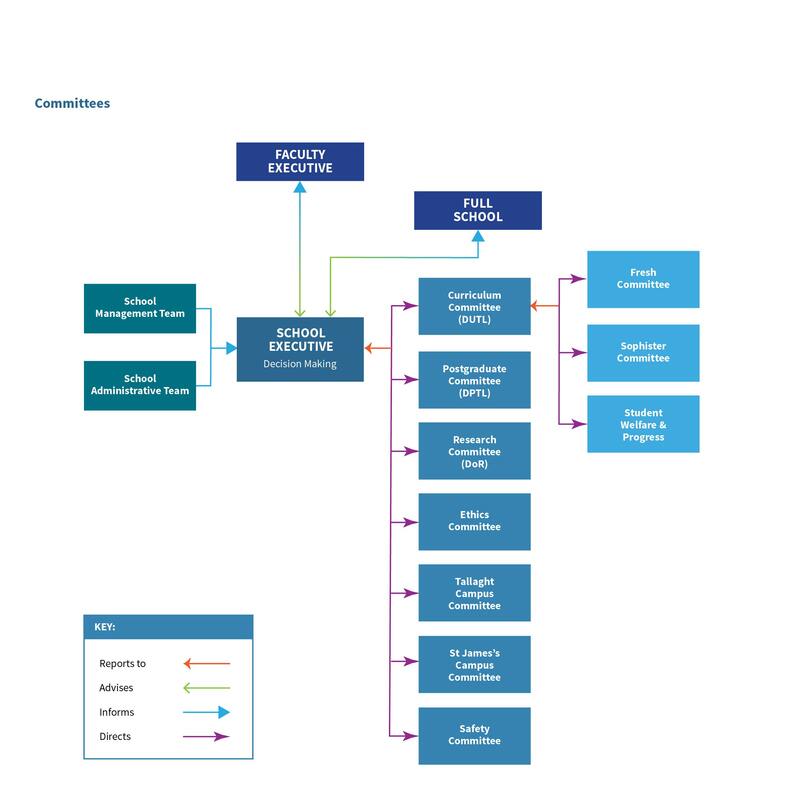 The AUCMO unifies significant elements of both TCD and hospital-based activity, in particular the integration of academic activities within the departments of Radiation Oncology and Medical Oncology. The TCD Division of Radiation Therapy and the Institute of Molecular Medicine Cancer Research Laboratory are also integral components of the AUCMO. The AUCMO comprises a critical mass of cancer specialists together with the necessary educational and research support to ensure that the patients, clinical staff, undergraduate and postgraduate students derive the maximum benefit from a unified research and clinical department on the same campus. 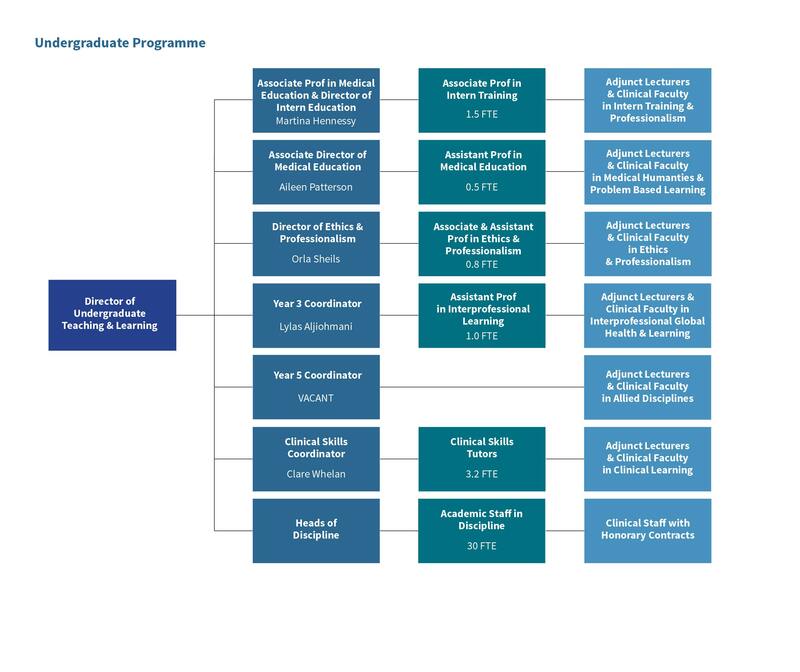 Specialists within the unit have additional commitments to a wide range of hospitals including St. James’s Hospital, St. Luke’s Hospital, Tallaght University Hospital, Our Lady’s Hospital for Sick Children, the Coombe Women’s Hospital, and hospitals within the Midland Health, as well as the HRB-funded Cancer Clinical Trials Unit based at St Luke’s Hospital and the Institute of Molecular Medicine (IMM). The Undergraduate course that trains Radiation Therapists. Please follow this link. 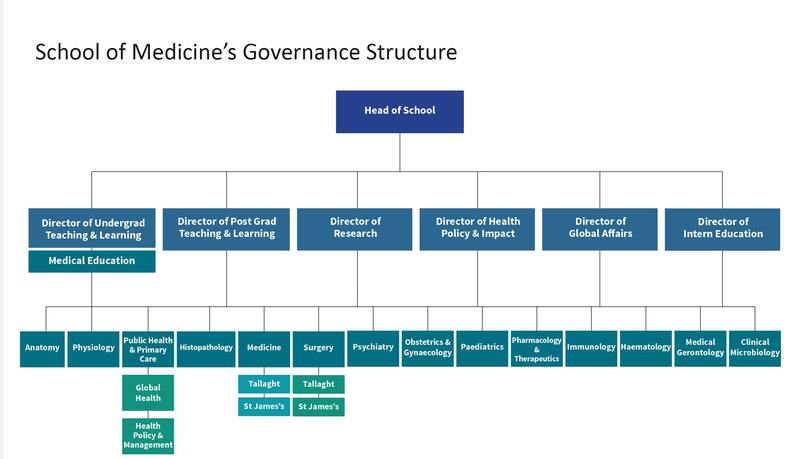 Second, third, fourth and fifth year medical students are attached to the department of Medicine in St. James’s Hospital, Tallaght University Hospital and affiliated hospitals. In addition to formal lectures in Radiation Oncology that are delivered in fifth year , students are encouraged to join the visiting Radiation Oncologists (in St James Hospital and Tallaght University Hospital) seeing ward referrals and out-patients. Furthermore students are always very welcome to attend St Luke’s Hospital, which at present (2009) is the country’s largest public radiotherapy facility. Such attachments include clerkships where the medical student joins a radiation oncology team, seeing patients in the out-patients department or on the wards, observing patients receiving radiotherapy and joining the team in assessing patients on-treatment. It is anticipated that the completion of the Radiotherapy Facility on the grounds of St James Hospital late 2010/early 2011 will help further enhance the exposure of undergraduates to this important cancer treatment modality. A number of radiation therapy (RT) strategies, including 3-D conformal external beam radiotherapy (EBRT), brachytherapy and intensity-modulated-radiation- therapy (IMRT) are now accepted as a curative treatment approaches for localized prostate cancer, with equivalent survival outcomes for low, medium and high risk patients when compared to surgical management. Long-term results are however dependent on tumour stage and treatment failure remains a reality for a significant number of patients particularly those with adverse clinical and pathological risk criteria. In addition, controversy exists as to the true value of the radiosensitivity parameters (α/β ratio) of prostate tumours. We propose that stratification of patients according to their tumour microenvironment may represent a strategy for optimal management of prostate cancer patients. Furthermore, we propose that characterization of the tumour microenvironment may facilitate the determination of the α/β ratio of prostate tumours. Finally, maximizing the killing effect of low-doses of radiation may activate specific signaling pathways such as Notch in a number of cellular models participate in improved treatment outcome. Hypoxia-inducible factors have been shown. The expression of Notch family members was investigated in a panel of prostate cancer specimen and validated in a variety of prostate cell lines. Preliminary data suggest deregulation of this pathway may be involved in prostate tumorigenesis and androgen-independence, potentially though preferential selection of hypoxic clones. We are also currently characterizing the role of hypoxia on the radioresponse of prostate tumours. Preliminary data suggest hypoxia-induced radioresistance may be time-dependent, cell type specific and directly associated with the single-hit component (alpha parameter) of the linear-quadratic model of cell killing by radiation. Current research involves further determination of the impact of hypoxia on the α/β ratio of prostate tumours. Finally, we are investigating a novel molecular mechanism for low dose hyperradiosensitivity (LDHRS). LDHRS is the phenomenon whereby cells exposed to radiation doses of less than ~0.5Gy exhibit increased cell kill relative to that predicted from back-extrapolating high-dose survival data using a linear quadratic model. Preliminary data indicate possible involvement of MMR-dependent processing of damage induced by low-dose radiation in prostate cancer cells, which may allow us to identify those tumours that may benefit from a low-dose fractionated radiotherapy regimen in the clinic. The Radiotherapy Dept has a very active research and development programme. Radiation Therapists directly and indirectly lead, design, co-ordinate and support all clinical trials that are conducted in St. Luke’s Hospital. These clinical trials involve research in prostate, lung, spinal cord compression, head & neck and breast cancer. A randomised trial comparing the bladder volume consistency achieved with two bladder-filling protocols in prostate conformal radiotherapy. ICORG 05-04. PI Prof John Armstrong & Dr Pierre Thirion. Other research and development projects in the radiotherapy dept include areas such as treatment delivery, new treatment techniques, new technology, imaging - Imaging Image Guided Radiotherapy (IGRT) and Electronic Portal Imaging (EPI), Intensity Modulated Radiotherapy (IMRT), treatment accuracy, immobilisation equipment and treatment techniques evaluation. Radiation Therapists from St. Luke’s Hospital have in the past and are currently undertaking Masters through Research (MSc) and Postgraduate Diploma in Statistics in Trinity College Dublin. Candidates are supervised by a clinical staff member from the department and a member of the lecturing staff at Trinity College. The Radiotherapy Dept has research and development links with numerous Radiotherapy Centres (all Radiotherapy centres in Ireland, Belfast and many international centres in Europe), national and international research organisations including the EORTC, ESTRO, ICORG, ICS, HRB, NSABP and Cancer Research UK, and a number of equipment manufacturers.